Vancouver talent is in the running for the 2018 Canadian Screen Awards, which recognize excellence in Canada's film, television, and digital media industries. Shirley Henderson is nominated for a Canadian Screen Award for her work in Never Steady, Never Still. Nominees for the 2018 CSAs were announced in Toronto on Tuesday morning, and Never Steady, Never Still – the stirring feature film directorial debut from Vancouver filmmaker Kathleen Hepburn, about a woman in a Northern British Columbia town struggling with Parkinson’s disease and widowhood – is a top contender in the feature film category with 8 nominations, including Best Picture, Best Original Screenplay, Best Lead Actress in a Film (for Shirley Henderson), Best Original Score, and Best Cinematography. Kyle Rideout and Josh Epstein are nominated for Best Original Screenplay for their inventive homeschooling comedy Adventures in Public School. (Both Adventures in Public School and Never Steady, Never Still are screening across the country as part of Canada’s Top 10 Festival; details here). Connor Gaston’s feature film directorial debut The Devout – about a religious father who grows to believe that his dying daughter is the reincarnation of an Apollo 1 astronaut – is nominated for the John Dunning Discovery Award. Tzi Ma is nominated for Best Performance by an Actor in a Leading Role for his work in Mina Shum’s Meditation Park, which opened the 2017 Vancouver International Film Festival. On the television side, Camille Sullivan (pictured above) is nominated for Best Lead Actress in a Drama Program or Limited Series for portraying the mother of a missing child in The Disappearance. Andrea Bang is nominated for Best Lead Actress in a Comedy for Kim’s Convenience. Brian Markinson is nominated for Best Lead Actor in a Drama Series for his work on The Romeo Section. 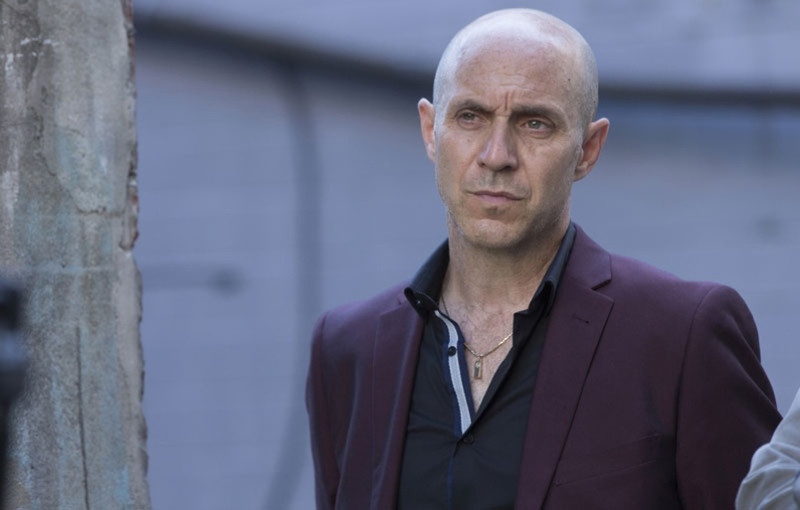 Brian Markinson is nominated for Best Lead Actor in a Drama Series for his work on Chris Haddock’s woefully underrated spy thriller The Romeo Section. Christopher Heyerdahl is nominated in the same category for his work on the locally shot post-apocalyptic vampire series Van Helsing. Global BC and CBC News: Vancouver at 6 are both nominated for Best Local Newscast; Andrew Chang is nominated for Best News Anchor (Local) for British Columbia Votes. Erin Rankin, Cliff Shim, and Amar Parmar are nominated for Best Reportage (Local) for CBC News: Vancouver at 6: Kati’s Story; Rumina Daya, Michael Hennigar, and Doug Sydora are nominated in the same category for Global BC: Foster Care Fight. Netflix Original Beat Bugs (produced by Thunderbird Entertainment, Grace Films, Beyond Films, and Atomic Cartoons) is nominated for Best Animated Program or Series. Foreshadow Films’ Soggy Flakes is in the running for multiple awards, including Best Web Program or Series (Fiction) and Best Actor for Peter New. Peruse the full list of nominees at www.academy.ca. The 2018 Canadian Screen Awards will be handed out over several ceremonies in Toronto in March; the Broadcast Gala airs live on CBC on March 11.